14k Gold Happy Anniversary Disc Charm by Rembrandt Charms. 22.42mm x 22.42mm / 0.883in. x 0.883in. Happy Anniversary Disc Charm. The width is 7/8 of an inch. 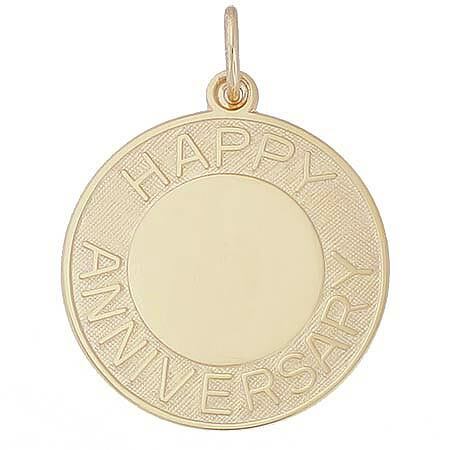 Mark your milestone year with our Happy Anniversary Disc Charm. Engrave your special date and names to add to your personal story.